What a difference a year can make in the tone and topics that capture the Davos mind. This year, Davos was looking for how to bring order to a decidedly disorderly world. 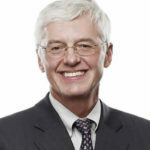 The slowing of global growth and rising of risks in systemically important economies, the possibility of a U.S.-China trade war, the utter folly of Brexit and where it might end, a heightened urgency about the lack of action in tackling climate change, and the perception of leadership shortcomings – both political and corporate – shaped the gloomier mood at Davos this year. 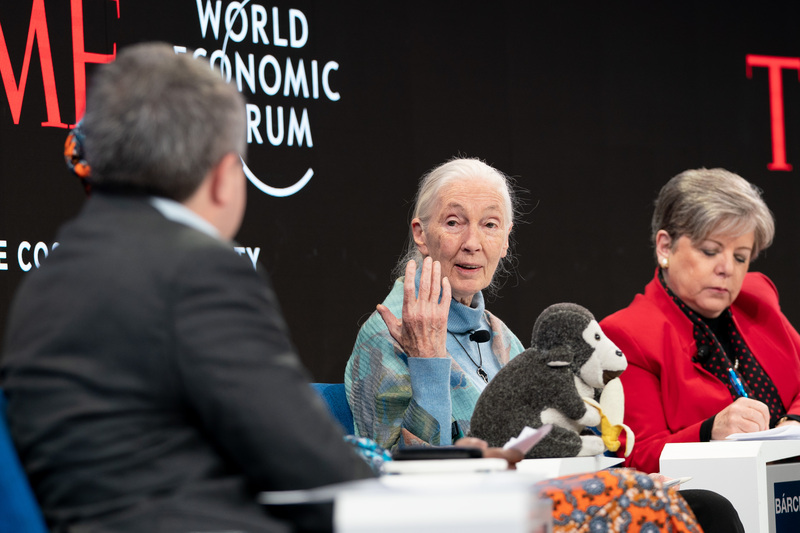 While “Globalization 4.0” was the nominal theme of Davos 2019, the annual gathering in the Swiss Alps ventured far and wide in the issues tackled, but with limited success in tying it all together into a compelling narrative and concrete path forward. While Davos 2018 was notable for its parade of political leaders, the pickings were slimmer this year. President Trump pulled out at the last minute, citing the U.S government shutdown of his own making. Prime Minister May was too busy trying to explain her Brexit plans to her own party let alone Parliament and the British people. President Macron was descending from Olympus to deal with the gilets jaunes and public unhappiness. President Xi was busy removing term limits on the presidency and backtracking on domestic reforms and sent his Vice President to blast American trade policies instead. And Prime Minister Modi was too occupied fighting with the Indian Central Bank and a resurgent Congress party. These absences were unfortunate because a splintering world needs dialogue and compromise, not isolation and unilateralism. It did provide space for Prime Minister Abe of Japan to make a convincing case that Japan is back, with substantive ideas to make globalization 4.0 work better in his role as chair of the G20 this year, and for Chancellor Merkel of Germany to forcefully argue the values of international cooperation and shared international institutions such as the IMF, the World Bank, the WTO and NATO, while taking pointed swipes at U.S President Trump for undermining the postwar global architecture and attacking traditional allies. Vice President Wang Qishan of China used his time at the podium to argue China’s side of the escalating U.S.- China trade dispute, drawing a clear red line around Chinese tech sovereignty. And finally, the new populist on the block, President Bolsonaro of Brazil, made the interesting case that if you don’t like him, you can have confidence in his cabinet team of technocrats. It was also the year for a diversity of voices, both social activists and business leaders, who tackled a range of prominent issues, including: climate change and the state of our environment; the role and purpose of the corporation in today’s economy and society; the impact of disruptive technology on the nature of work and workers, and how we treat data – the fuel of a digital world. These non-governmental voices ranged from corporate titans (Benioff of Salesforce, Fink of BlackRock, and Nadella of Microsoft), to environmental activists (Jane Goodall and Christiana Figueres) to musicians/activists (Bono and Will.i.am) to an extraordinary 16-year-old Norwegian climate change crusader. The heightened sense of urgency around climate change and the environment is highlighted in the 2019 Global Risks Report tabled at Davos. Of the top five global risks identified in the report’s global risks perception survey, three related to environmental concerns (extreme weather events, failure of climate change mitigation and adaptation and natural disasters) and two related to data and digital concerns (data fraud and theft and cyber-attacks). While President Trump was not in Davos, his tweets, words and deeds were never far from the minds, and lips, of those who were there. American foreign policy was described by a member of a previous U.S. administration as “more unilateral than bilateral, more bilateral than multilateral, and more transactional than strategic.” He argued that, while President Trump may not understand the benefits of global trade for American prosperity (the biggest winner from globalization over the last two decades is arguably the American consumer) and U.S. security (alliances magnify American power not reduce it), he grasps what drives populism (and votes). Picking up this theme, Richard Edelman argued that powerlessness (“the power is where you are not”) and fear (“the fear of immigrants taking your job”) drive populism. His surveys indicate that only 1 in 5 Americans believe “the system is working for them” – powerful fodder for populist politicians. The growing push-back against digital big tech continued again this year with Facebook even sending Sheryl Sandberg on a Davos apology tour. But the underlying concerns – around data privacy and usage, around the virtual monopolies these digital tech platforms provide to infotech giants, and around the potential for systemic abuse through data manipulation – continue to fester. Broadening the debate, new voices argued that income inequality is an underappreciated risk from tech- driven growth, while others stressed the risks of digital inequality in a world where productivity growth comes largely from automation. Davos, like stock markets, was lukewarm on the info tech titans this year. More broadly, the fourth industrial revolution is an angst creator due to the speed, scope and scale of the disruption it is driving, according to Rana Foroohar of the Financial Times. She presented a fascinating statistic that 68 percent of kids currently in kindergarten will work in jobs that don’t exist today. She led an important discussion on the increasingly urgent problem of workforce reskilling. The “war for talent” has moved from the C-suite to the entire workforce. Can we shift from a “secure job for life” mentality to a “secure career for life” culture? France has just introduced some innovative self- retraining programs while Germany is looking at a life-long variant of its successful dual vocational system. The basic message: if we do not respond to the scale of the reskilling challenge in the tech 4.0 world, income inequality will worsen, populism will increase and globalization will come under even more strain. The IMF unveiled its updated world economic outlook at Davos, with Christine Lagarde delivering a “slowing but still growing” economic message. Trade activity, business sentiment and corporate investment plans have all softened, combined with a fading U.S. fiscal boost and headwinds in China. Chances of a recession in 2019 are viewed as limited, but risks to the global economy have escalated. Rather paradoxically, the key economic risk is politics – primarily a ratcheting up of U.S.-China trade tensions, a no-deal Brexit, a greater-than-expected slowdown in China, and political gridlock in countries ranging from the United States to the United Kingdom, France and Italy. What does the updated IMF forecast suggest for growth this year and next? Across most Western countries, the above-trend cyclical growth of the last several years will decline to potential growth, and potential or trend growth has declined in most countries, including Canada, for structural reasons. For example, Canadian growth is expected to fall from 3% in 2017 to 1.9% this year and next, with risks to the downside. U.S. economic growth is pegged at 2.5% this year and then only 1.8% next year as the 2018 stimulus wears off and stock buybacks are substituting for capital investments. Eurozone growth will manage a tepid 1.6% while the U.K. will be lucky to achieve 1.5%, with downside risks to both in the case of a messy Brexit. The global growth engine, China, is expected to see its growth dip to 6.2% – huge by Western standards – but anxiety-inducing for Chinese leaders and global capital markets alike. Beyond China, emerging market economies should see growth at 4.5% or higher, with India clocking in at over 7.5%. But China casts a long shadow over not only Asian but global growth, and Chinese government efforts to stimulate growth will be carefully watched by all, especially if trade frictions with the U.S. worsen. The policy toolkits to deal with today’s elevated risks are constrained by high government debt burdens and already low interest rates. In the United States, for example, the average U.S interest rate decline in response postwar recessions (400 basis points) is greater than the level of the short-term U.S. interest rates today and U.S. government debt levels could hit 100 pecent of GDP over the next five years. Besides strengthening resiliency to risks, economies such as Canada face the challenge of rebuilding potential growth through increasing productivity and labour force growth to avoid being trapped in low growth futures. Trust is the soft infrastructure of effective economies and successful societies. Without it, government, business, media and civil society struggle, and populism thrives. Trust in these core institutions of society has been on the decline in Western liberal democracies for some time, but the great financial crisis of 2008 marked a turning point, with a sharp rise in distrust. By 2018 a majority of Western countries, including Canada, registered trust deficits – measured as less than 50 percent of the general population expressing trust in the four core societal institutions. So, it should not come as a surprise that the 2019 edition of the Edelman “Global Trust Barometer,” conveniently launched just before Davos, was a fixture of many Davos panels and discussions in an environment of fake news, deeply partisan politics and dysfunctional governance, questions about the role of corporations beyond shareholder returns, and angst about climate change. The good news is that there was a modest rise in trust in 2019 across the 27 countries that Edelman surveys. Canada shifted out of the trust deficit group: 54 % of Canadians now trust our core institutions of government, business, media and civil society. However, many Western countries remain in a trust deficit including the U.S., U.K., France and Germany to name a few. Surprisingly China tops the list of trust surplus countries. For the corporate sector, there are some interesting bright spots that bring both opportunity and risk. A majority (56%) of the general population now trust business and a sizeable majority (76%) are looking for leadership from corporate CEOs in tackling societal problems. The top five issues where they expect CEO leadership and action included equal pay, discrimination, retraining/reskilling in the face of technological disruption, environmental protection, and appropriate handling of personal data. They also want to hear CEOs communicate more about the values and societal impact of their corporations. Trade growth has been flagging since the global financial crisis in 2008. Broad-based trade liberalization stalled after the Uruguay Round (1994) and China’s accession to the WTO in 2001. Regional and bilateral trade agreements kept up some trade liberalization momentum until President Trump pulled the plug on U.S. participation in the TPP and demanded renegotiation of NAFTA. But the real game changer has been the U.S. shift to outright protectionism, using a controversial national security clause to slap tariffs on allies while launching a full-bore attack on Chinese trade practices. At the same time, we are deeply immersed in a technological revolution of unprecedented speed, scope and scale. Trade and technology have always intersected, sometimes smoothly, sometimes not. Twenty years ago, the advent of the internet and advanced telecommunications facilitated the off-shoring phenomenon for manufacturing and the creation of global supply chains. Today, digitization, big data, and AI will facilitate an explosion in trade in services including e-commerce and digital trade. Technology and trade lie at the heart of the U.S.- China trade tensions. The U.S.-China trade dispute is hampered by misreadings in both China and the United States of each other. The U.S has undergone a fundamental and bipartisan re-assessment of China – a shift from strategic engagement to strategic reform of Chinese trade practices (forced tech transfer, IP protections, state subsidies) to strategic competition in technology – whereas China assumed that President Trump was solely focused on the bilateral trade deficit and could be placated with buying a few more soybeans and corn. The U.S., for its part, underestimated how ideological President Xi is and his willingness to roll back economic reforms to preserve the primacy of the state in the economy. Vice President Wang Qishan made it abundantly clear at Davos that innovation-driven growth is China’s strategy to improve living standards and competitiveness, and globalization 4.0 must allow tech to move freely across countries without walls or barriers. David Lipton, Deputy Managing Director of the IMF, worries that such tech walls are exactly what the United States may build, and do so more broadly than most imagine. Min Zhou, an influential Chinese policy adviser, was equally blunt: he fears we are moving to a tech war between the United States and China that would be have a bigger impact on the global economy and international trading system than a trade war. What does all of this mean for globalization? There was a broad consensus at Davos that the WTO needs reform to become more responsive and effective. Prime Minister Abe proposed a world-wide data governance initiative to ensure the free flow of data for the agenda of the next G20 meeting. He also committed Japan to help lead WTO reform, putting on the table consideration of global rules for government subsidies and SOEs. Chancellor Merkel committed Germany to support these initiatives, and added the need for global corporate tax principles (an extension of OECD work) and data protection principles focussed on the rights of the individual not the corporation or the state. What is the role of the corporation in today’s complex world? Conventional corporate governance thinking holds that maximizing shareholder returns is the objective of management and boards. This “thought system” largely derives from Milton Friedman in the 1970’s and the “agency theory of the firm” which argues that directors, the CEO, and executives are all “agents” of the shareholders and, as such, have only one duty – to maximize shareholder value. The strength of agency theory is its simplicity and clarity of purpose; this simplicity is also its weakness, given the complexity of today’s business environment, the multiplicity of stakeholders and the undefined time frame for maximizing shareholder value. A growing chorus of critics of this conventional thinking has moved beyond business school academics and social activists to business leaders and corporate directors. Davos 2019 was a good reflection of the conflicting forces at play in today’s fractured world. The slowing but still growing global economy suffers from weak productivity, aging demographics and rising inequalities in income, wealth and opportunity, all of which limit its sustainability. The corrosive forces of nationalism, protectionism and populism are still alive and well, both in Europe and in sizeable swaths of the United States and the U.K. to name a few. Opposition to globalization moved from the fringes to becoming a driving force of populism – witness the U.S. attacks on the liberal trade order – and globalization supporters have to do more to make it work better for those it disrupts. A key part of creating a shared future in a fractured world is establishing the rules of the game for how globalization will work in a multi-polar world in the midst of a technological revolution. What will that framework look like? What sorts of adjustment measures are needed to respond to the disrupted? Can we achieve the reform of the global trade architecture without conflict or crisis? At last year’s Davos, a frequently employed metaphor attributed to John Kennedy was “the time to repair the roof is when the sun is shining.” A year has past, clouds are gathering and few repairs have been undertaken.